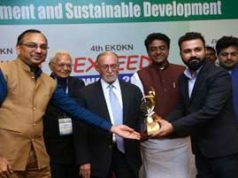 Udaipur: Hindustan Zinc received ‘Dun & Bradstreet Corporate Award 2018’ in ‘Non Ferrous & Precious Metals’ category. 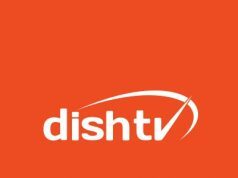 The award ceremony was held in Mumbai on 25th May 2018, where the jury identified and commemorated the Top 500 Companies in India, thus recognizing their role as ‘Champions of Change’ in the transformation of the country. The award was presented by the Honourable Minister of State for Finance – Mr. Shiv Pratap Shukla. On behalf of Hindustan Zinc, Ritesh Bhansali (Chief Financial Controller) and Vijay Murthy (Head – Marketing) received the award. 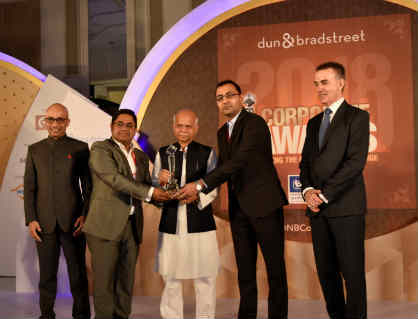 Dun & Bradstreet Awards are presented to honour ‘India’s Top 500 Companies’ which are the frontrunners of Corporate India and play a pivotal role in development of Indian economy. Pavan Kaushik, Head – Corporate Communication, Hindustan Zinc said, “We are very glad to receive the award. Accolades and awards are a benchmark which recognize the business excellence of Hindustan Zinc, proudly known as Zinc of India. Truly, we all have Zinc in our lives”. On the occasion, Julian Prower, Senior Company Officer (Dun & Bradstreet, UK) & Board Chairman (Dun & Bradstreet, India) and Manish Sinha, Managing Director, Dun & Bradstreet – India graced the event with their presence.